Mad scientists built a horde of marine robots to wipe out civilization and conquer the world. 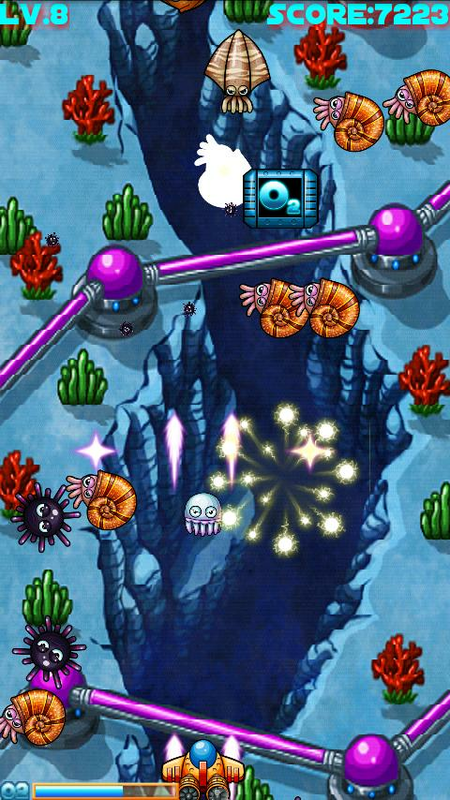 Now its your turn,begins to play and fight to clean up the ocean by the robot monsters! The mission is long and demanding,do not forget to supply your ship with oxygen!